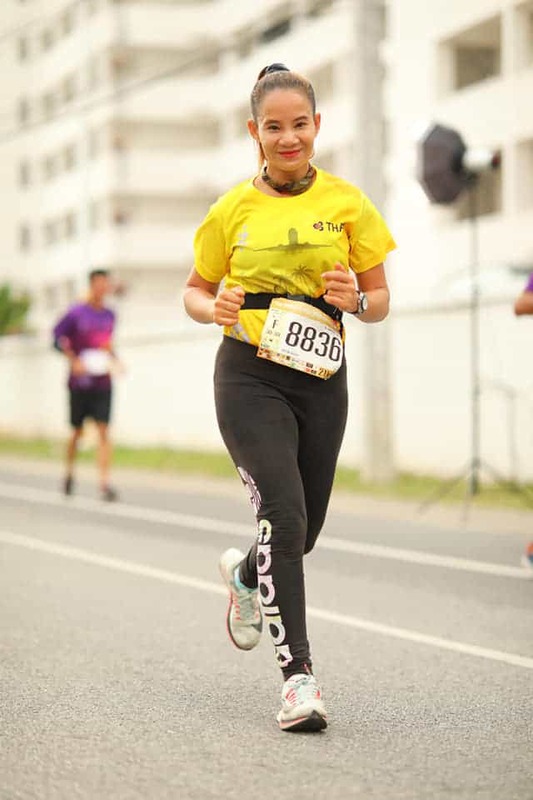 Khemjira Klongsanun is an avid runner and regularly runs marathons in her home of Bangkok, Thailand. But recently, 7-miles into her latest marathon, she made headlines for the sweetest reason. 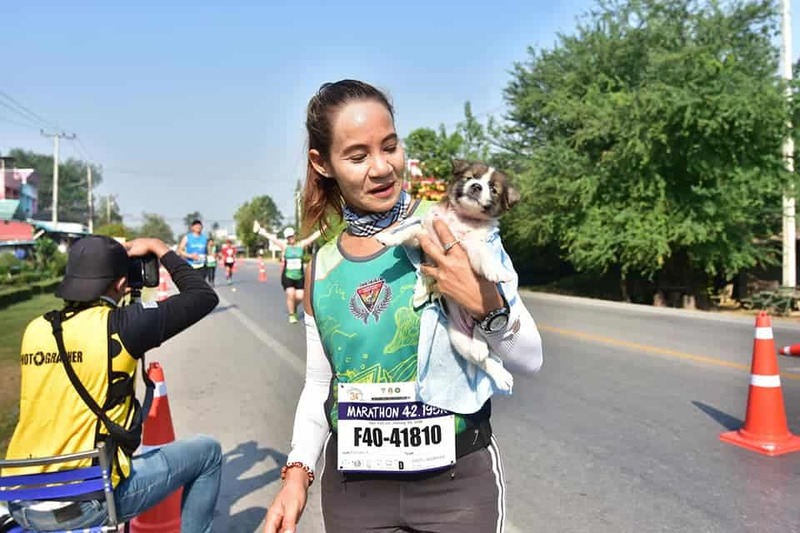 Khemjira Klongsanun was 7-miles into the 26-mile marathon when she noticed a tiny puppy by the side of the road. It was on its own with no mother or siblings around. 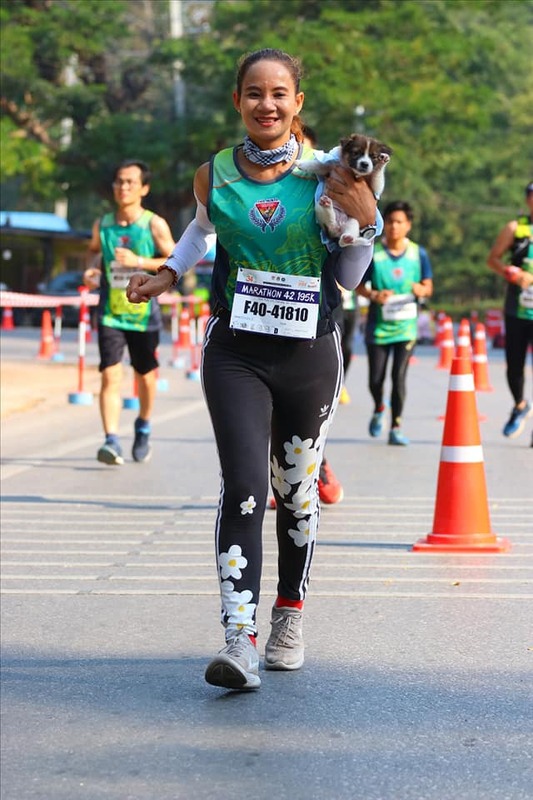 Other runners were trying to avoid the frightened puppy but Khemjira knows that some things are more important than beating your personal best in a race. 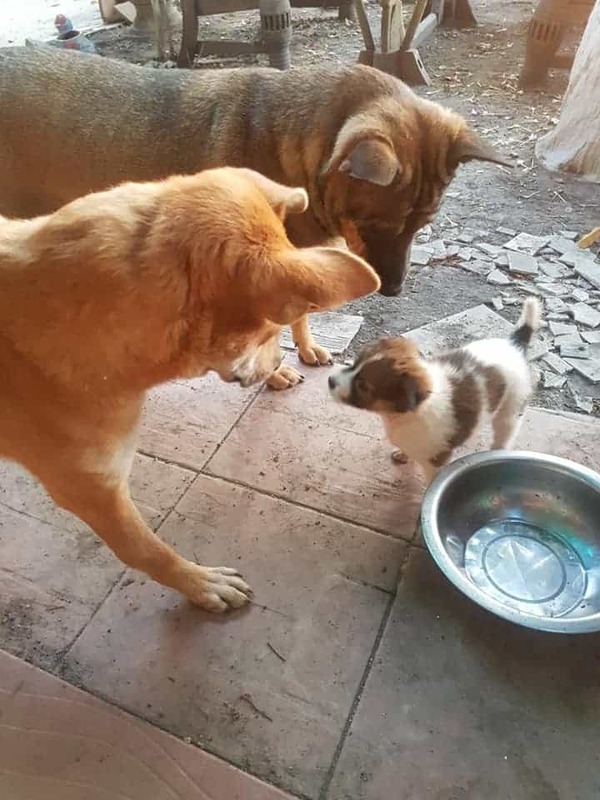 Temporarily putting her race on hold, Khemjira slowly approached the tiny stray puppy and scooped it up. 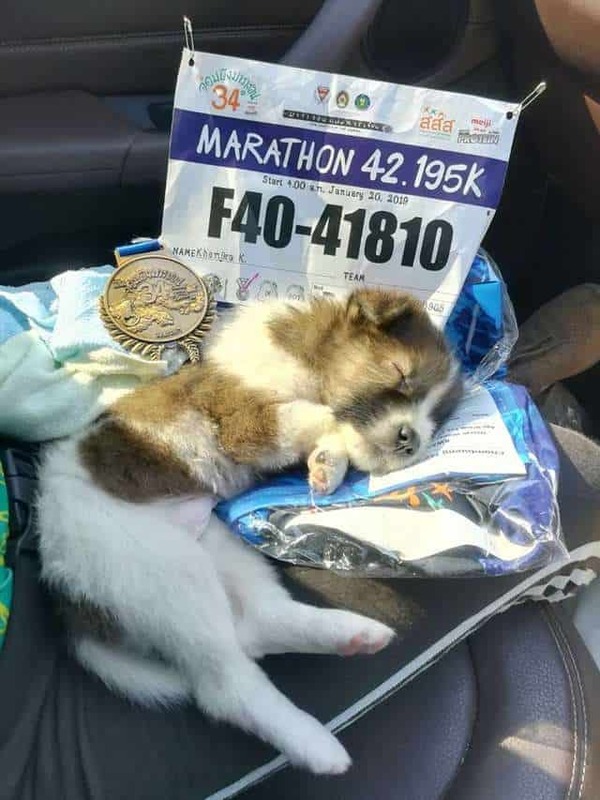 She ran the remaining 19-miles of the marathon with the pup in her arms. 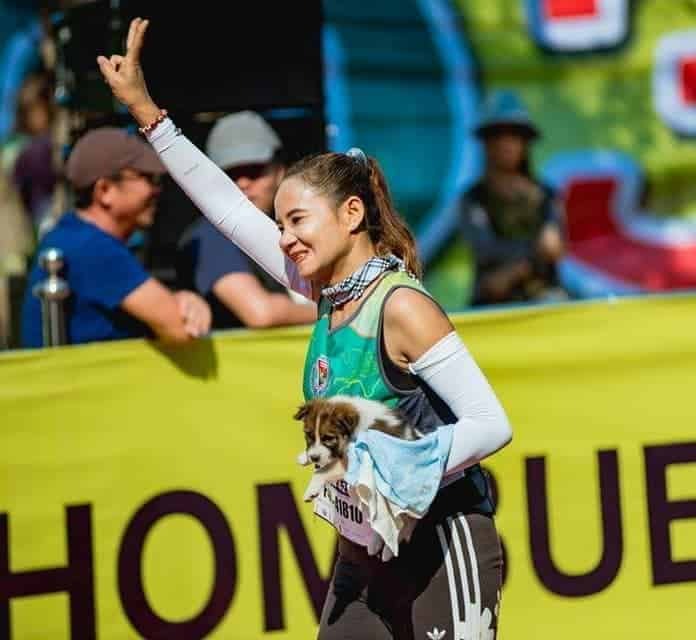 Khemjira could have handed the puppy to a race official on the sidelines or a spectator, but she didn’t. Instead, she continued on the course with her new running buddy. She covered the puppy’s head with her towel to protect it from the heat of the sun. The pair made it over the finish line together. However, this wasn’t the end of the road for the newfound running buddies. Nong Chom had a well-deserved rest after a long day of racing. 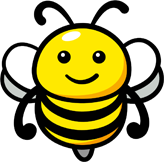 How adorable is this sweet baby angel? She had a vet check over tiny Nong Chom and he was perfectly healthy. 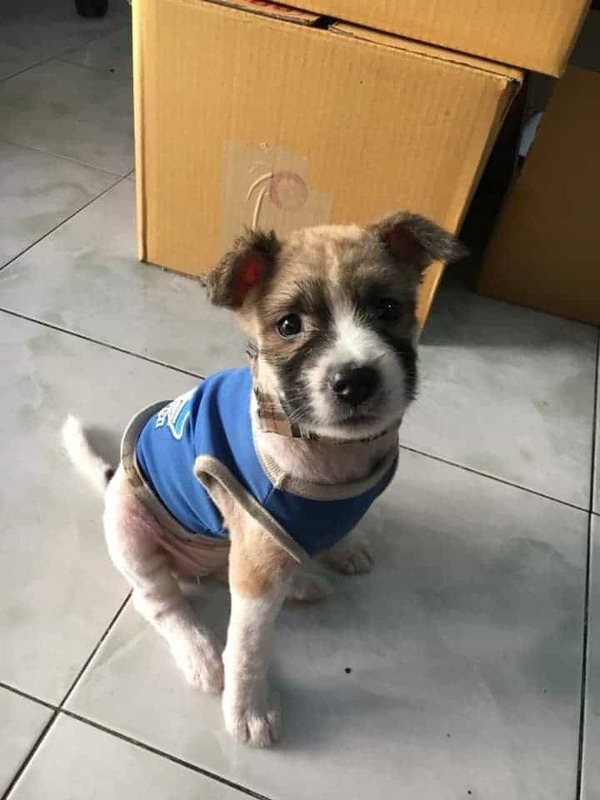 When she introduced Nong Chom to her other dogs, he fit right in. He loves his new home and companions. Khemjira took Nong Chom back to the spot where she found him, to check if his mom or any siblings were in need of help. But it appeared that Nong Chom had definitely been alone. 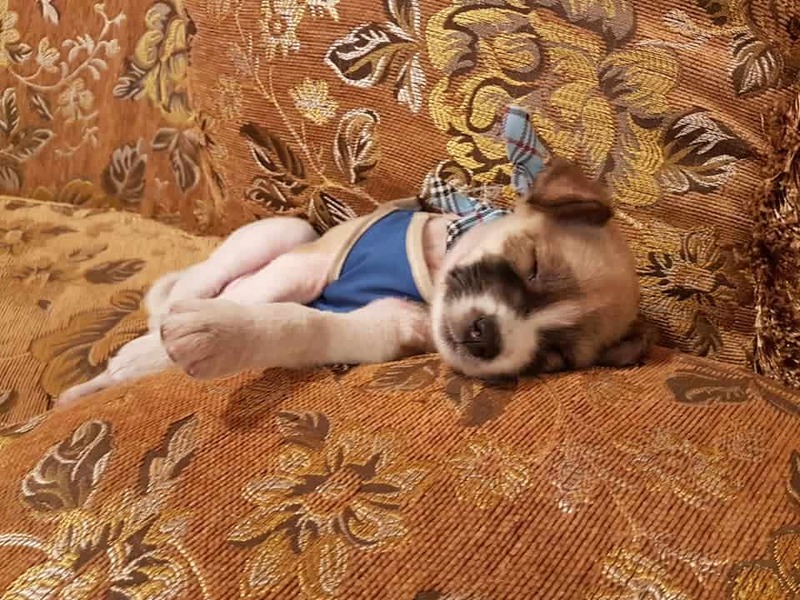 The sweet abandoned puppy is now surrounded by love and has a home. 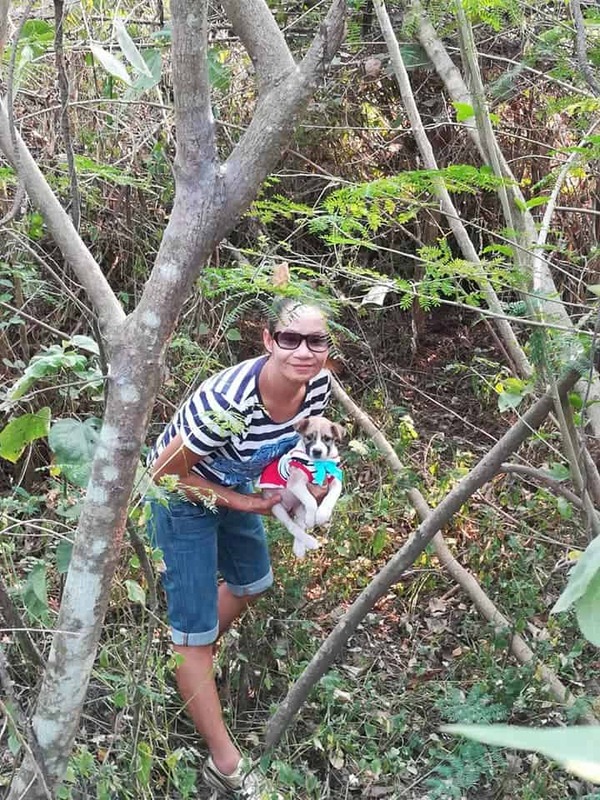 Thank goodness kind Khemjira Klongsanun put her race on hold to stop and save the lonely pup. We love a good rescue story but this one is truly one of a kind. 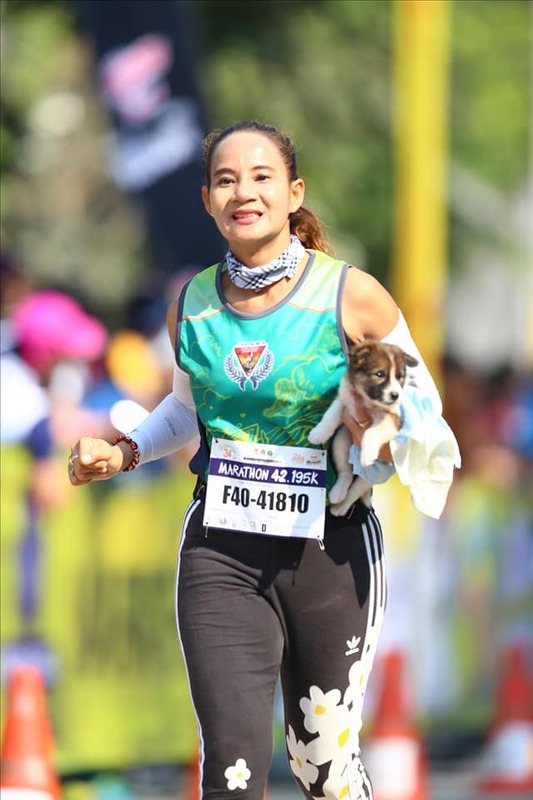 A fast running time is nothing in comparison to the love that Khemjira and Nong Chom will share for the rest of their lives.